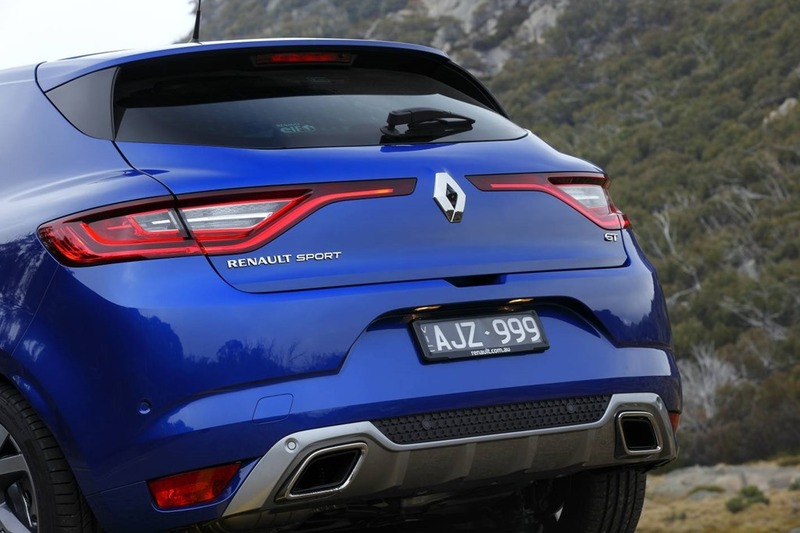 Renault has launched an all-new generation Megane hatch that is destined to change the way Australians feel about the brand. 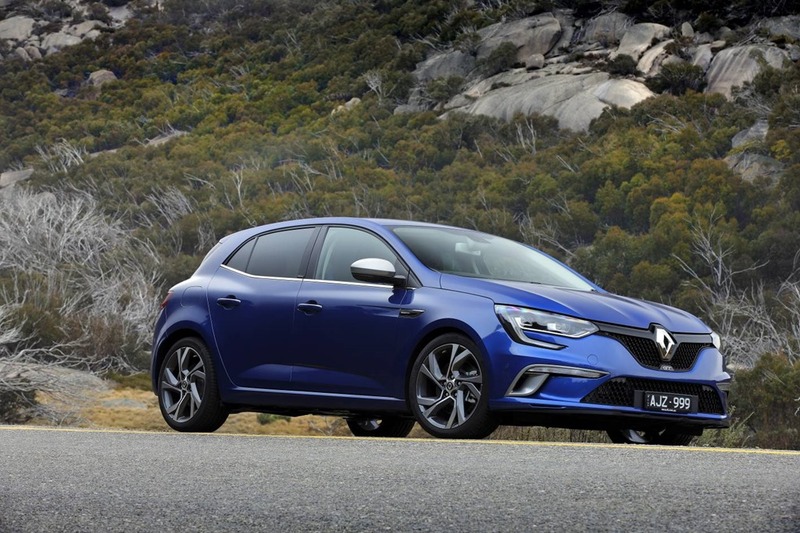 “This is a beautiful new car with a host of technological and functional features that customers in the small car class will find very attractive,” said Justin Hocevar, Managing Director of Renault Australia. spec-for-spec and value-for-value, it will come out in front and that’s even before sampling its exhilarating driving experience. “On the road the new Megane GT is a very impressive performance hatch that will appeal to enthusiastic drivers, while the Life, Zen and GT-Line models will surprise and delight a wide range of new car customers, from those buying up to those downsizing that don’t want to give up on premium, luxury or advanced technology features,” he said. The all-new Megane five-door hatch is more efficient, more spacious and better equipped than ever before, not to mention better looking. A bolder, more chiselled exterior styling and 3D Edge effect lighting at the front and rear, give the all-new Renault Megane a distinctive road presence. Leading the charge is the new Megane GT, which benefits from Renault Sport technology in the form of a new generation turbo charged petrol engine, 4CONTROL four wheel steering, R.S. Drive Mode with Launch Control and Multi Change Down shift control. 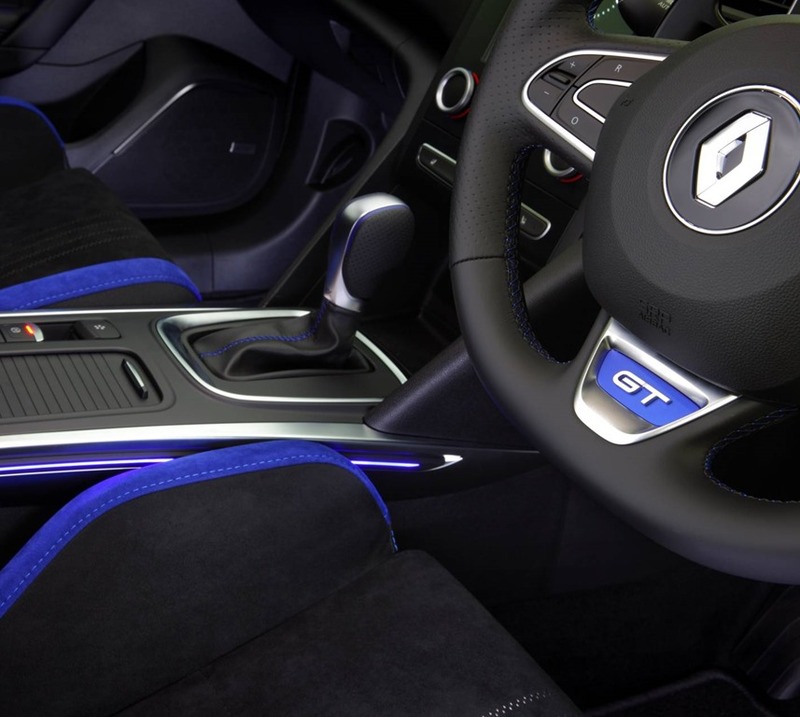 Inside, the all-new Megane GT boasts Alcantara covered sports seats with integrated headrests, flat-bottomed leather-wrapped sports steering wheel and aluminium pedals. Interior ambience and vehicle dynamic settings can be configured using the unique MULTI-SENSE personalisation system, which allows the driver to select a mode to suit the driving conditions or their mood. 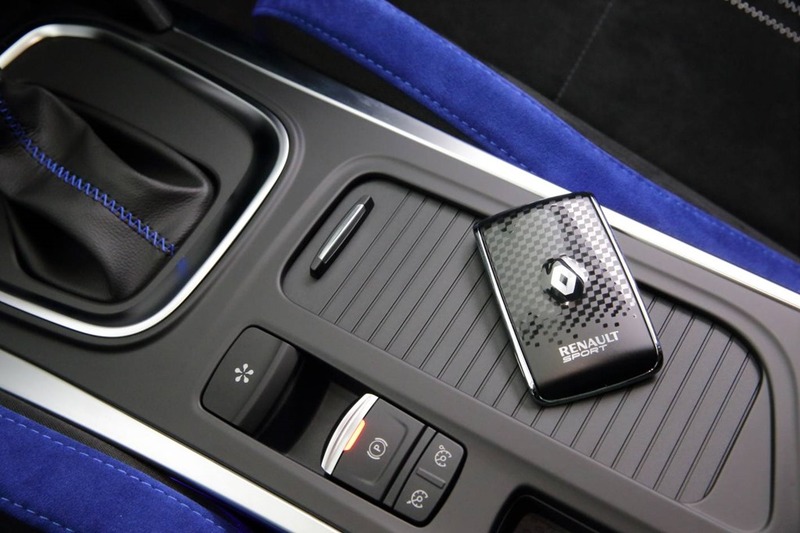 Drivers can cycle through Normal, Comfort, Sport, and Perso modes, to configure engine, transmission and steering settings, as well as interior lighting and dash displays at the touch of a button. The new R-LINK 2 multimedia infotainment system covers audio, satellite navigation (from Zen variant onwards), telephony and vehicle settings, including access to Easy Park Assist (GT-Line and GT), all via the standard seven-inch landscape orientation capacitive touch screen, or optionally, via an 8.7 inch portrait tablet-style screen (GT-Line and GT), both of which offer pinch and zoom functionality. Powered by the latest generation Renault Sport 1.6 litre high efficiency engine mated to an enhanced Efficient Dual Clutch seven-speed transmission, controlled by paddle shifts mounted on the steering column, the Megane GT delivers its maximum power of 151kW at 6000rpm and maximum torque of 280Nm at just 2400rpm, giving a broad, useable power band. Impressive engine efficiency allows the GT to consume just 6 litres per 100km and emit only 134g/kg of CO2. The Life, Zen and GT-Line offerings are powered by a modern, technology-rich 97kW four-cylinder turbo charged petrol engine that delivers 205Nm, which in six-speed manual guise uses only 5.5 litres per 100km while emitting 125g/km of CO2 (5.6 litres per 100km and 125g/km CO2 in seven-speed EDC auto mode). 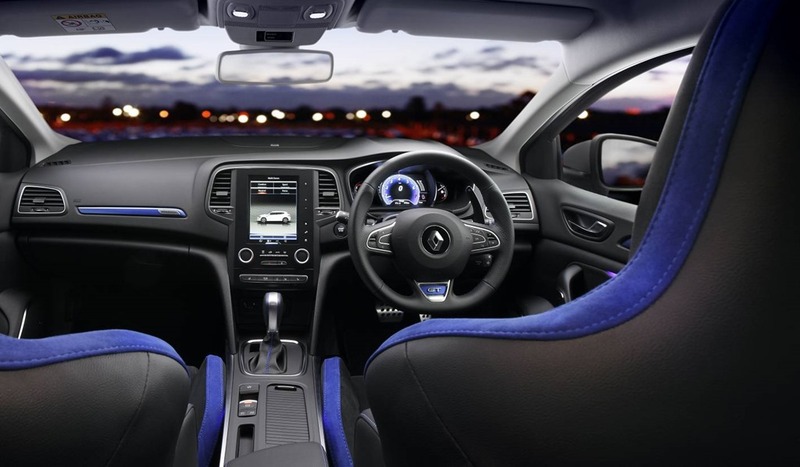 The roomier all-new Renault Megane has more space front and rear. Front shoulder room increases by 22mm, while in the rear there is 20mm more knee room and 27mm more shoulder room. The hatch accommodates a significant 434 litres with the rear seats up and 1,247 litres with them folded. The interior is quieter and more cosseting thanks to a stiffer body shell and additional insulation, while six airbags and an array of active and passive safety systems assist, alert and protect the driver and occupants. Rear view camera and rear parking sensors, LED daytime running lights, auto headlights and wipers and tyre pressure monitoring are all standard from the Life model up and the GT-Line gains Blind Sport Warning. An optional factory-fitted pack for GT-Line and GT models adds Pure Vision LED headlights, 8.7 inch portrait orientation screen and a high output Bose audio system. 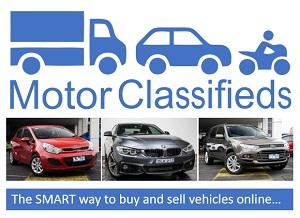 Like all Renault passenger cars and R.S. models, the all-new Megane comes with a five year unlimited kilometre warranty, five years of roadside assistance and Capped Price Servicing for the first three scheduled (annual or up to 30,000km) services, priced at $299 each. 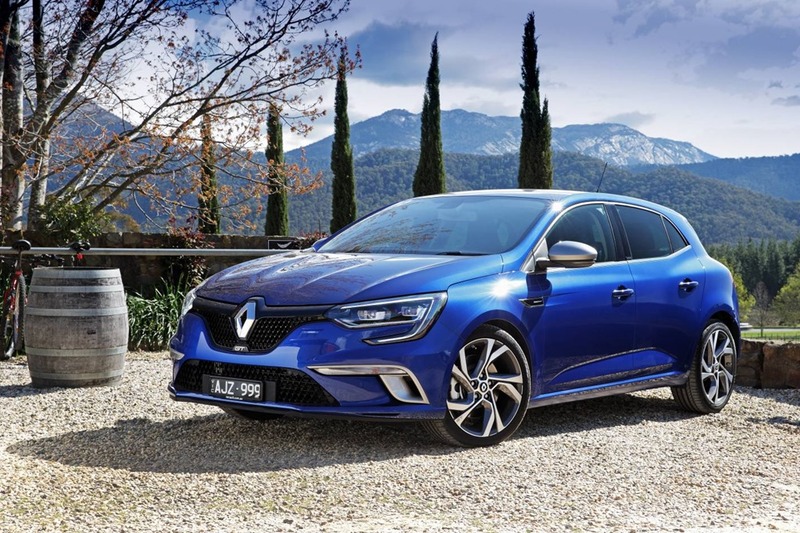 The all-new Renault Megane is on sale now, priced from $22,490 (Manufacturer’s List Price for Life variant, excluding metallic paint, dealer delivery and statutory charges).